We have an excellent catering committee for all events who provide lunches for Charity day and our Biannual Open Gardens and for the Wantsum Group Rogation Walk. We gather at the back of the church for refreshments after our morning Service and Coffee Mornings are also held at the back of the church on the first Saturday of each month, Strawberries and cream plus a glass of wine for our Festival of the First Fruits (Lammas) and Harvest Suppers are also held here. 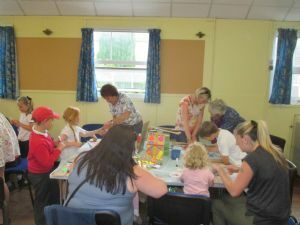 An annual Charity Day is held in the Autumn for different Charities from the parish and beyond to have a stall with Christmas goods, with refreshments and lunches available all day . Gifts are brought to our Patronal Festival, the Sunday nearest to 6th December. Christingle, Carol Services, Mothering Sunday are some of our main events apart from the main Church Festivals and concerts are held regularly in the church. 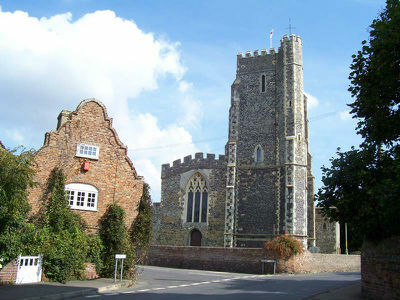 St. Nicholas' Church is a major mediaeval church listed Grade I. 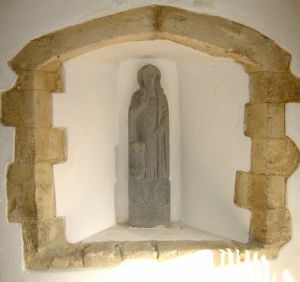 Its southwest Tower was constructed in 2 phases around 1310, the lower section being of the highest quality knapped flint, while the upper sections (rising to 74 feet) were added in rubble construction, possibly as a navigation marker, appropriate as St Nicholas is the patron of seafarers. The present building probably dates from the early 12th century; mid 12th century Romanesque features survive in the Bridges Chapel and in the west end of the Nave. The most important 12th century work to survive is the South Aisle arcade, which probably dates from the 1160s or early 1170s. These three arches and their capitals include carved work of the highest quality and are stylistically similar to work at Canterbury Cathedral. Almost all the east end, including the Chancel, Bridges Chapel and Becket Chapel (now the Vestries) were added in the early 13th century, with the particularly fine Chancel arch dating from around 1343. By circa 1450 the North and South Aisles and the clerestory were in situ. During 18`h century, part of the Nave roof was rebuilt with a flat ceiling. The Bridges Chapel has memorials to the family of Robert Bridges; Poet Laureate. There was a measure of restoration by Victorians. The tower was restored in 1821 and 2000.